When a person passes away without making a valid will in Singapore, or when when he makes a valid will, but has not named an executor in his will, another personal representative will usually apply to the court to take over the administration of the estate. Generally, those applying to take on this responsibility are called Administrators and the court order given by the court in such a scenario is known as the grant of Letters of Administration. This is the situation in which the deceased dies intestate without making a will at all. In this scenario, the distribution of the estate will be according to the laws of the Intestate Succession Act (“ISA”), and the most suitable person will be granted Letters of Administration by the court to distribute the estate according to the rules in the ISA. This situation occurs when the deceased created a will but neglected to name an executor. The deceased could also have named an executor but the named executor either refuses to do the job or passes on as well at the time of the deceased’s death. In this scenario, someone else will have to take over the role of distributing the estate according to the will, and the grant that will be given is known as the grant of Letters of Administration with Will annexed. 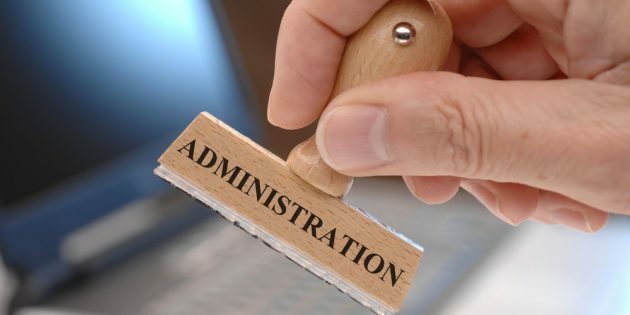 Who can be an administrator? Usually, it will someone closely related to the deceased who will apply for Letters of Administration. In Singapore, the courts will look towards the ISA, and will decide on the most suitable person to administer the estate in accordance with Section 7 of the ISA. You can have a look at how the process the court undergoes in choosing the most suitable person here. Practically, it tends to be a good idea to require other suitable persons to renounce their right to administer their estate, in order to avoid any possible disputes. Which court to apply to? The Family Justice Courts were created in December 2014, and took over probate jurisdiction from the Supreme Court and the State Courts at all levels. (b) the Family Courts, which have probate jurisdiction for estates with a gross value of less than S$5 million. What is the Application Process in Singapore? Ascertain your suitability for administration. If there are persons ranking in priority to you in accordance to the ISA, you should obtain Renunciations to grant of Letters of Administration from them. Assess the value of deceased’s estate for purposes of deciding the appropriate court to apply to. 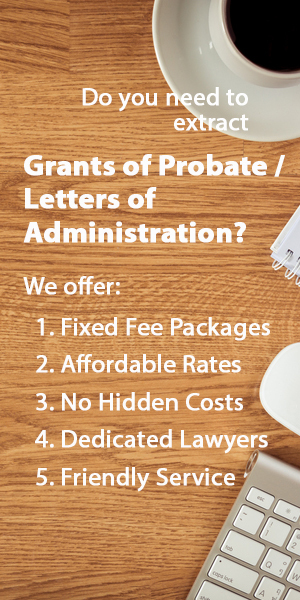 Request that your lawyer search in the record of caveats and the record of probate applications to ensure that there are no caveats against the grant and no other pending applications or grants already having been issued for this estate. 1) The application is made by way of ex-parte Originating Summons. The results of the probate caveats and probate applications search is to be stated on the originating summons as a certificate set out in Form 52 in Appendix A to the Family Justice Courts Practice Directions (“FJCPD”). The particulars of the deceased, including information about his death, religion and domicile. Whether the application is filed within 6 months from the death of the deceased (and if not, the reason for the delay). (c) other supporting documents referred to FJCPD Paragraph 62(4) and (5). a Schedule of Assets listing the property comprising the estate of the deceased in accordance with Paragraph 67 of the FJCPD. 6) If everything has been done correctly, the court will inform your lawyer of a probate hearing date and time. Your lawyer will have to attend the hearing on the scheduled date and time, unless all the supporting documents are filed and accepted by the Court before the hearing date. Here, the court may choose to do away with the hearing date instead, and your lawyer will be able to request the grant of Letters of Administration for you.